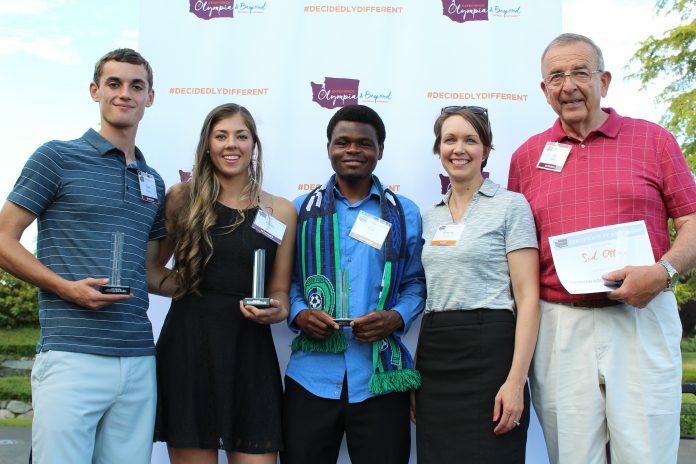 Thurston County’s Sports Commission, a division of Experience Olympia & Beyond, presents the second annual Sports Awards. The awards recognize local athletes and game changers in our community. Community members can recognize local athletes by nominating them for one of seven awards honoring high school, college, recreational and senior athletes or coaches. Do you know of an amazing athlete, team or coach that deserves recognition? Nominations are open until April 9, 2019 and can be submitted online at http://bit.ly/2019SportsAwards. Winners will be announced at the 2019 Sports Awards from 5 p.m.-8 p.m. on May 22 at South Puget Sound Community College. The awards will feature guest speaker Jen Mueller, CEO and Founder of Talk Sporty to Me, who is also a member of the Seattle Mariners television broadcast on ROOT SPORTS and is a sideline radio reporter for the Seattle Seahawks. For the full list of awards, see below. Nominees must be a female or male athlete enrolled full-time at any time during the 2018-2019 school year in a Thurston County college or a native to Thurston County. Nominees must also have participated for a minimum of one year in at least one collegiate sport, exemplify strong leadership, dedication and sportsmanship with good school behavior. Nominees must be passionate about the growth and success of sports in Thurston County and can include coaches, nonprofit organizations providing sport access to community individuals and/or large monetary donors to sports initiatives. Nominees must have demonstrated commitment to sports for a minimum of one year. Nominees can be a team or individual that has achieved national or local recognition for their sports moment during the 2018-2019 academic year. This moment would have taken place during a play in a single game or individual match or event for an individual or team. Nominees can include individuals with inspiring stories, remarkable sports moments or outstanding performances throughout the 2018-2019 season. Winners are chosen by the Sports Commission Advisory Committee and reviewed by Olympia & Beyond Sports Commission’s board of directors.